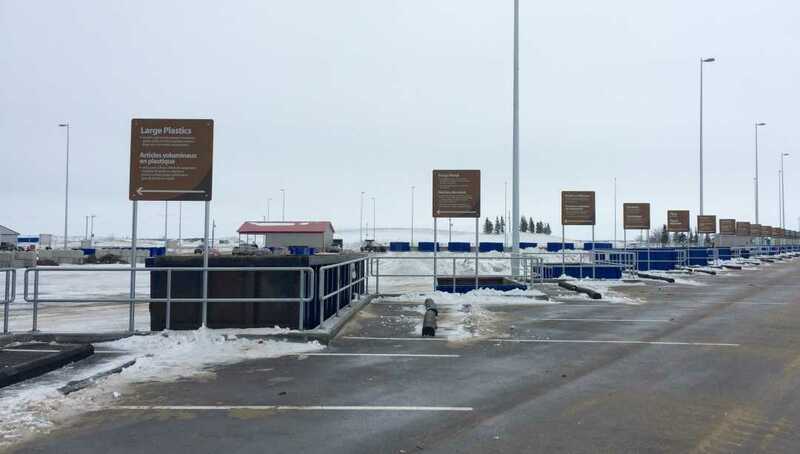 Today is a very, very exciting day for the City of Winnipeg, and I have to say – probably even more so for South Winnipeg- St. Norbert residents because this new recycling depot is so handy! The long awaited brand new, and first of its kind in Winnipeg, 4R Recycling Depot is opening at Brady Resource Management Centre! I had the opportunity to tour this facility which is is a state-of-the-art recycling depot that enables you to drop off 17 DIFFERENT items to be recycled – FREE OF CHARGE! Plus, you can drive on smooth, brand new pavement! No nails, no flat tires! The 4R Depot enables residents to deposit a broad variety of materials (see list below) to be recycled at separate recycling bins. Any remaining materials that are not accepted in the recycling/reuse areas will be accepted as garbage for a fee. I strongly suggest you check out the HANDY PACKING BROCHURE which provides helpful tips on loading your vehicle, for the purpose of for fast and easy unloading at the 4R Depot. Also included in this brochure is information regarding hours of operation and a map showing the layout of the new depot. The less garbage we throw out. Less garbage means lower costs to collect garbage. The more energy we save. Making goods from recycled materials usually requires less energy than making goods from raw materials. The more trees we leave standing in our forests. Every metric tonne of paper we recycle saves 17 trees from being cut down. The South Winnipeg– St. Norbert Ward is home to the Brady Resource Management Centre and this brand new depot. As residents living so close, we have the opportunity to use this facility with great ease! I hope you will all check it out over the coming weeks and plan your ‘recycling spring cleanup’. The planet and future generations will thank you! 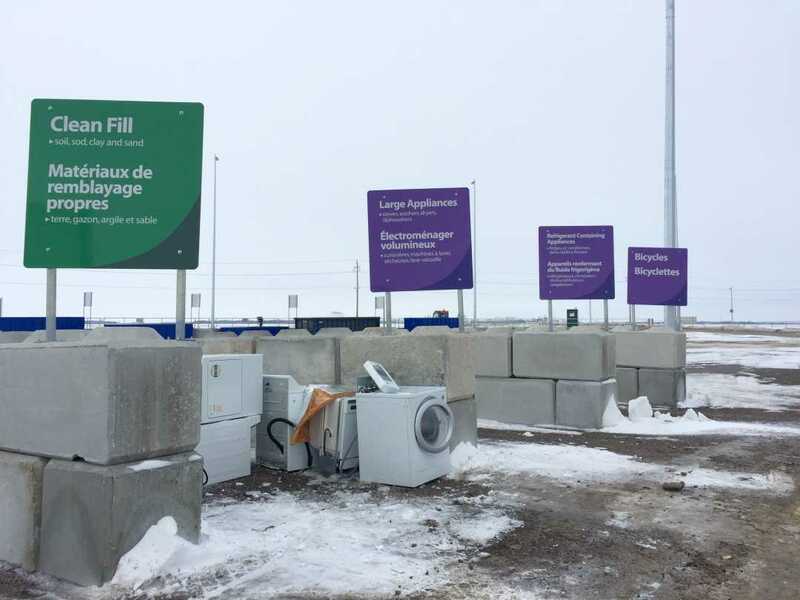 February 18, 2016: Beginning today, residents will be able to drop off items that can be recycled, reused, composted or resold, along with their regular household waste, at the new Brady 4R Winnipeg Depot. 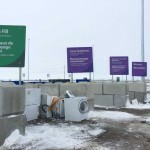 The Brady 4R Winnipeg Depot is the first of its kind in Winnipeg, and will give residents the opportunity to recycle more materials than ever before and keep these materials out of the landfill. There is no cost to customers using the Brady 4R Winnipeg Depot, if all of the material that is dropped off is recyclable. 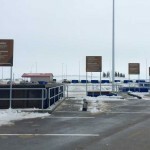 Located at the Brady Road Resource Management Facility (Brady Road Landfill) at 1901 Brady Road, the Brady 4R Winnipeg Depot will replace the current drop off point for garbage within the landfill, and give users a new experience with a safer, more pleasant environment that features paved roads, landscaping and a convenient one-stop shop format. Any remaining materials that are not accepted in the recycling and reuse areas will be accepted as garbage for a fee. 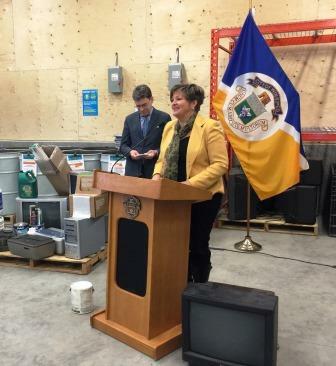 4R Winnipeg Depots are an important part of Winnipeg’s Garbage and Recycling Master Plan to keep more than half our garbage out of the landfill by giving residents more ways to reduce, reuse, and recycle. The plan includes up to three more 4R Winnipeg Depots.